Have you had any airhead moments during this crazy holiday season? I got lost on the freeway driving home from my daughter’s. Missed my turnoff. I have a knack for doing that, but this time I was tired from babysitting two of my grandkids into the wee morning hours. Chatty Girl is three and Little Man is five weeks old now. So, even though I’ve made that drive many times, I was overtired and got lost. That’s a whole other blog post. Today’s story is a vlog, a retelling in video form, from a post published years ago, Holiday Airhead Moments – You Just Made the List! Here’s a post from January 2018 with Recent Airhead Moments. Perhaps you can relate to another Airheads post from March about losing things. I’ve been doing a lot of that lately, too. How are you doing? Have you had any airhead moments lately? 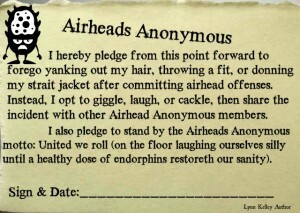 If so, you can join Airheads Anonymous. What are your thoughts? How are your holiday preparations coming along? How are you doing? I’d love to hear from you! 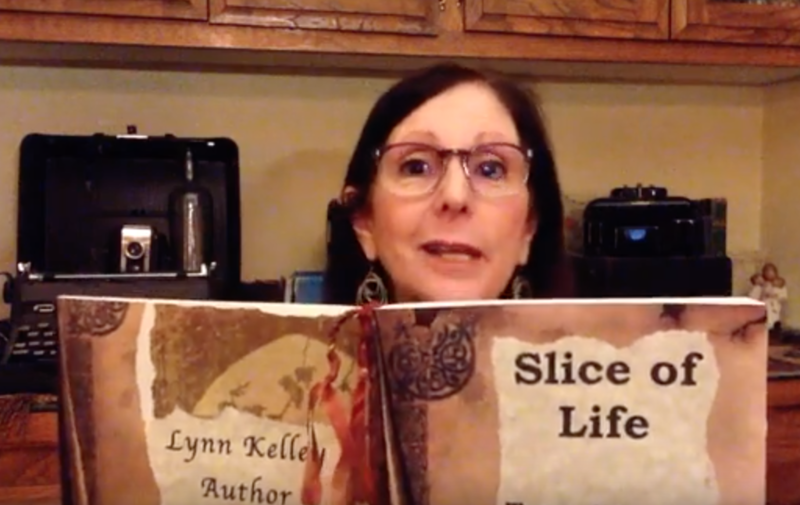 This entry was posted in Air Heads Anonymous, family, Funny, Humor, YouTube Video and tagged Air heads, airhead moments, funny anecdote, funny vlog, Lynn Kelley, Slice-of-Life true story. Bookmark the permalink. He called the pizza place. Now that is funny. I still laugh about it. Thanks for visiting, Alex! My recent airhead moment was buying something at the store, then coming home to find out we had plenty of it (and now I can’t even remember what it was, LOL). I’m done decorating, mainly because I do very little! Most of my shopping is done, but I still have a couple of people to buy for, and I have no idea what to get them. Hope your holidays are wonderful and you have no more stressful/too-long nights like the one that made you miss your exit! Oh boy, Jennette, sounds like my airhead moments! I missed another turn yesterday. My sense of direction basically stinks. It’s nice that we have GPS these days, when it’s working right!